I just posted about a study which found that a higher intake of dairy foods increased death from prostate cancer for men who had been diagnosed. Here’s a study by the same group of authors, using the same cohort: 926 men from the Physicians’ Health Study. – A Prudent pattern, characterized by higher intake of vegetables, fruits, fish, legumes, and whole grains. – A Western pattern, characterized by higher intake of processed and red meats, high-fat dairy and refined grains. 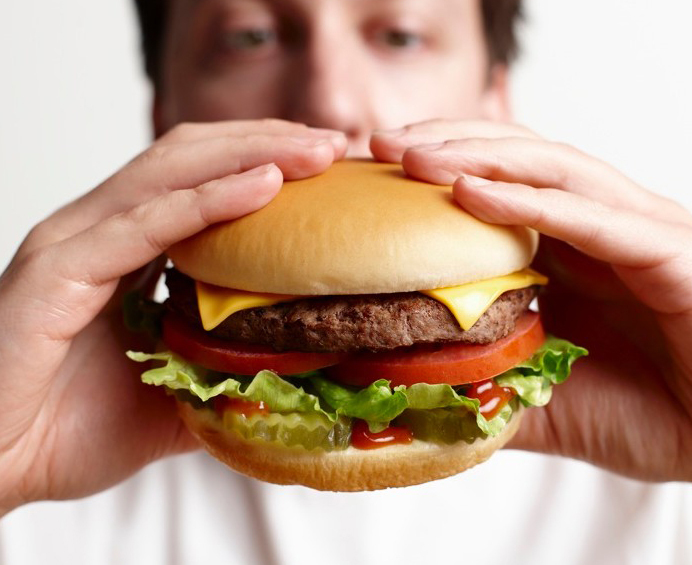 Those eating the Western Diet also had a 67% increased risk for death from causes other than prostate cancer. Conclusion: A post-diagnostic Western dietary pattern was associated with higher prostate cancer–specific and all-cause mortality, whereas a Prudent dietary pattern was related to lower all-cause mortality after prostate cancer diagnosis. This entry was posted in Uncategorized on March 30, 2016 by Bix. A thought … these men with prostate cancer are all physicians. You would think they know what to eat, to reduce their risk of progression. You would think they know the science, have read the studies. No? Yes? What do they tell their patients with prostate cancer?